Let's get the party going! A whole new meaning to the UK/US 'special relationship'. There's nothing like a Royal Wedding to help lift the gloom. And what a fantastic couple they are too! 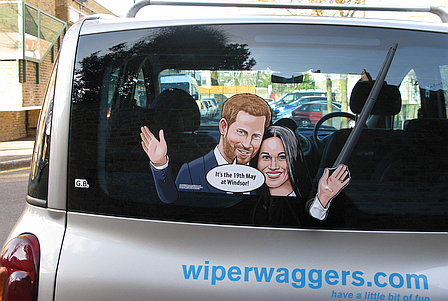 Celebrate the marriage of Prince Harry and Meghan Markle and proudly and patriotically show your support from the back of your vehicle. 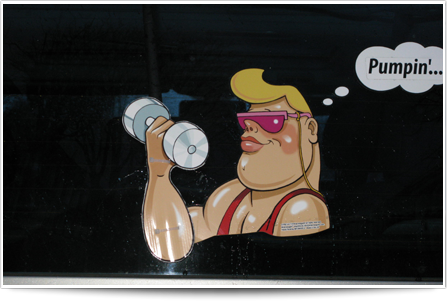 Celebrate your support for keeping fit with our "Must Keep Fit" Cool Health Fanatic pumpin away building those muscles. Ho ho ho! 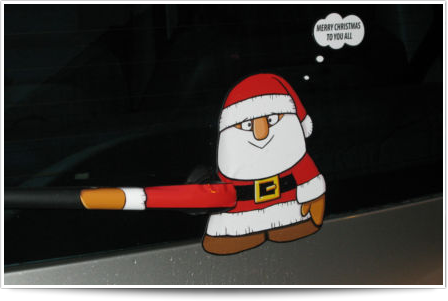 Celebrate Christmas with fellow motorists with your very own festive Waving Santa Claus™. Get the Christmas spirit and spread some festive cheer. 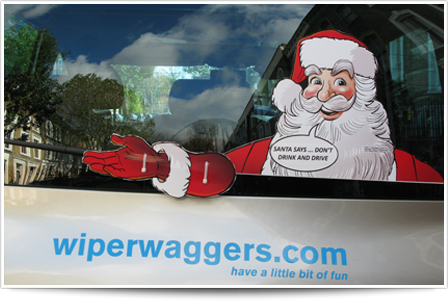 A smaller solution for those wishing to bring Christmas cheer to all around as you sit out another traffic jam in the rain is our Waving Mini SantaTM WiperWagger with crazy waving waggy arm. Choose the length of his arm to suit your own level of craziness. Waving Mini Santa will bring Christmas cheer to those around. Join in UAE National Day celebrations with His Highness Sheikh Mohammed Bin Rashid Al Maktoum. Applaud the achievements of the nation and honour the leadership of the UAE, past and present. 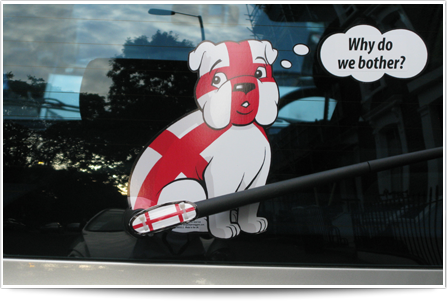 Bring good luck and happiness to those around you with a Maneki-Neko Lucky Car Cat with Beckoning ArmTM fitted to your car rear windscreen. Maneki-Neko Lucky Car Cats are welcoming, lucky, good fortune talisman which will beckon to those around as you drive round in the rain! 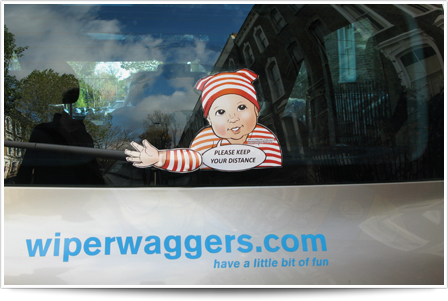 Celebrate the arrival of your new baby with this unique Waving Baby on Board™ WiperWagger®. Share the exciting news of your new family addition with other motorists and encourage their care on the road for you and your new bundle of joy. Who better to cheer on our country and celebrate the best of British than HRM Queen Elizabeth II with Union Jack in hand. 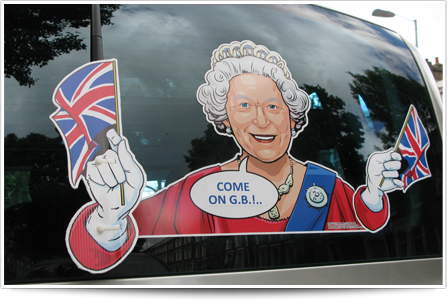 Afix the Cheering Queen™ to your rear windscreen and wiper and show your support for Great Britain.